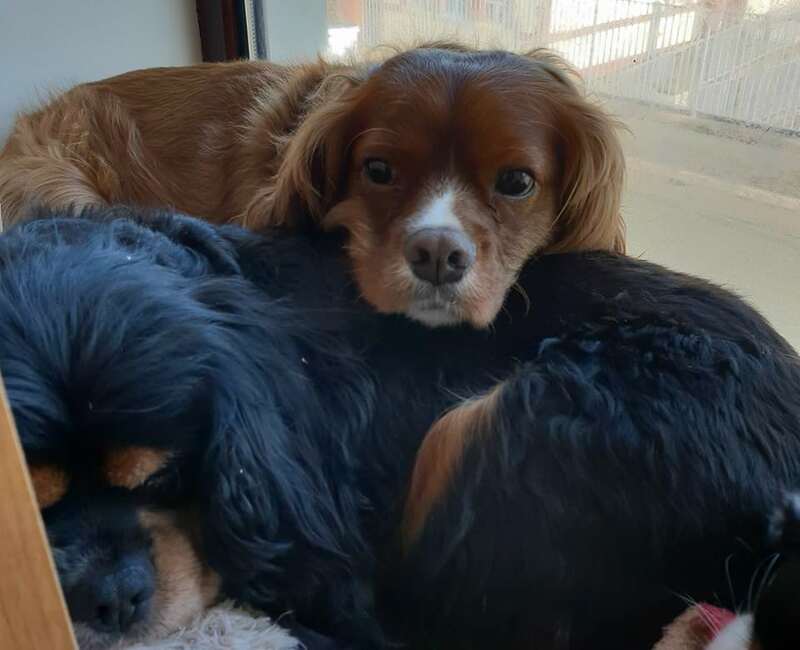 Mili is a complicated little Cavalier King Charles Spaniel who is 3-years old and being fostered in RCT, South Wales. Mili has spent he life in an autistic household where the stress levels were constantly high. As a result, Mili does not react well in stressful situations. 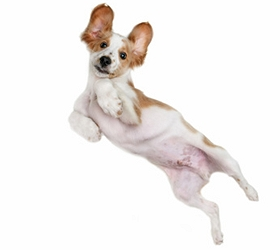 She can snap when stressed in situations of commotion such as children, loud constant noise and busy little dogs. Mili is fine around adults that treat her with respect. She responds very well once trust is gained and it is done on her terms. She likes cuddling with mum and dad and sleeps on the bed wonderfully. Although she is improving daily, we will not rehome her with children. Mili does not like busy little dogs who do not respect her space. Our initial thoughts were to home her as an only dog but she is showing signs of bonding with our older dogs. She will cuddle with our old male Cavalier and actively seeks him out at sleep time. Not tested with cats. Mili has her chair at home and spends most of her time there. She is fully housetrained and not destructive at all. She is not keen on being left. Mili has learned some terrible habits at human meal times and will bother mum and dad mercilessly. She will join her humans for cuddles and is starting to play with toys. Mili loves her walks. She would spend her day walking if she could. She is not actively aggressive but doesn’t like dogs fussing around her. 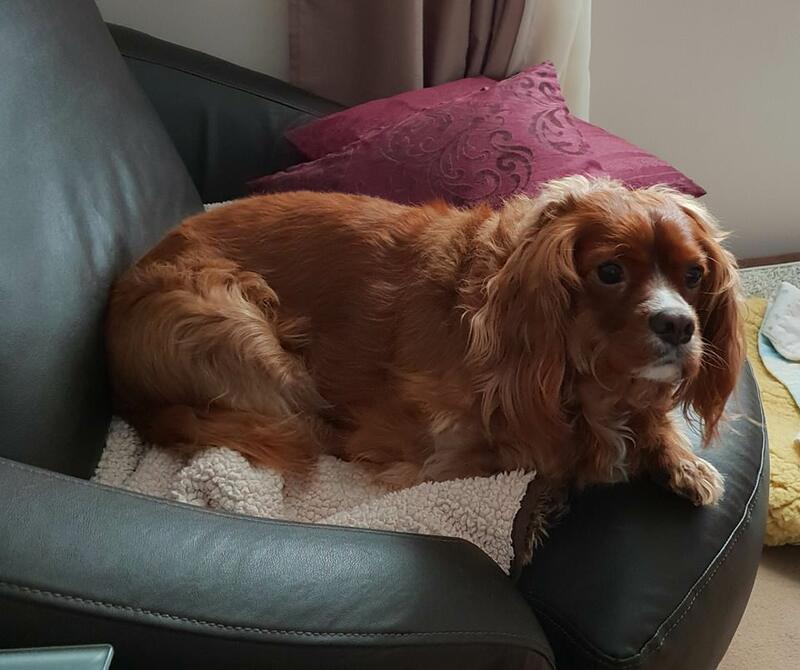 Mili needs a quiet home with a family that understands her challenges and is used to working with dogs like Mili. The positives outweigh the negatives with Mili. She is a sweet soul who is always pleased to see her foster mum and dad and really wants to get involved. She has huge potential and will reward patience with love and devotion. Mili is neutered, chipped, vaccinated and up to date with her flea and worming treatment. Potential adopters will be expected to travel to meet her in her foster home in Rhondda, South Wales. If you are interested in adopting Mili please read about our rehoming process and complete a Pre-Adoption form.